Ryan Struck’s surf photography began with his own curiosity, after paddling out on a board for the first time with college friends. 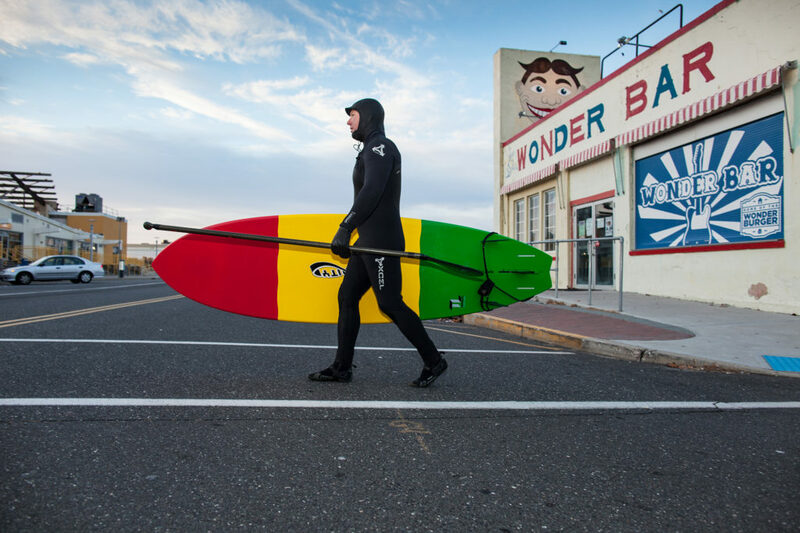 He recalls watching in awe, as they ripped waves in the early mornings and late evenings on the coasts of Asbury Park, NJ, where he lived for many years (he’s currently based in Brooklyn, NY). But all of this changed after he entered the water with a camera. What started as an interest transformed into a meditative practice, he says, and since then his photography has taken him from deep inside the barrel waves of South America to the pages of Eastern Surf Magazine, as featured in his Dripbook portfolio. “There’s something about the push and pull of the waves, being at the ocean’s mercy and immersed in the salt water, that puts me at ease,” says Struck. His equipment setup is low key, and he shoots using only a Canon 5D, a pair of swim fins, himself, and the ocean. And while his body of work spans from surf photography to weddings, to commercial filmmaking and advertising, Struck never set out to produce a certain look or style. Instead, his work is driven by the morality of the sport itself—he shoots what “looks sweet” and conveys the idea of happiness by preserving the moments that his subjects—and himself—become one with the water. We caught up with Struck to discuss his travels, inspiration, and finding happiness through an emotional connection to your work. Hey man. So where were these shots taken—what am I looking at here? The photos you see were made traveling abroad in Tahiti, right in my backyard of Asbury Park, and everywhere in between. I’ve been shooting seriously since 2009, and for the past 2 years, I’ve been fully freelance. 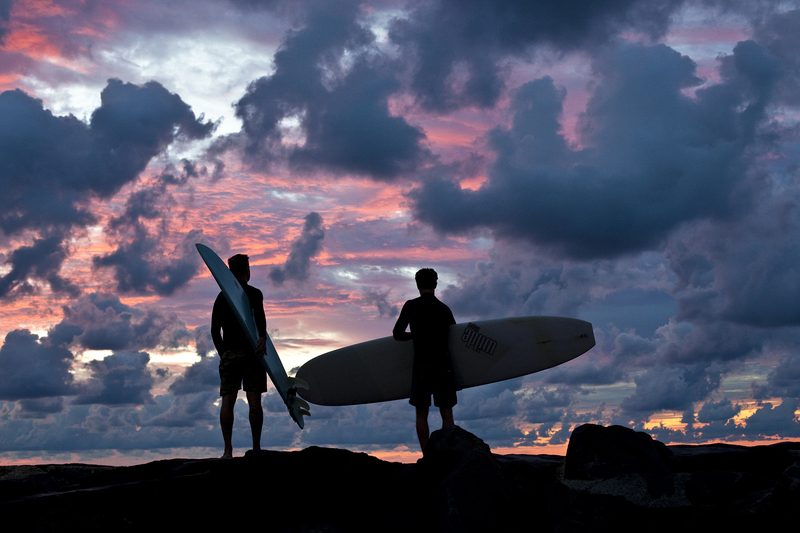 My body of work in surf photography has been a labor of love created over a period of time. 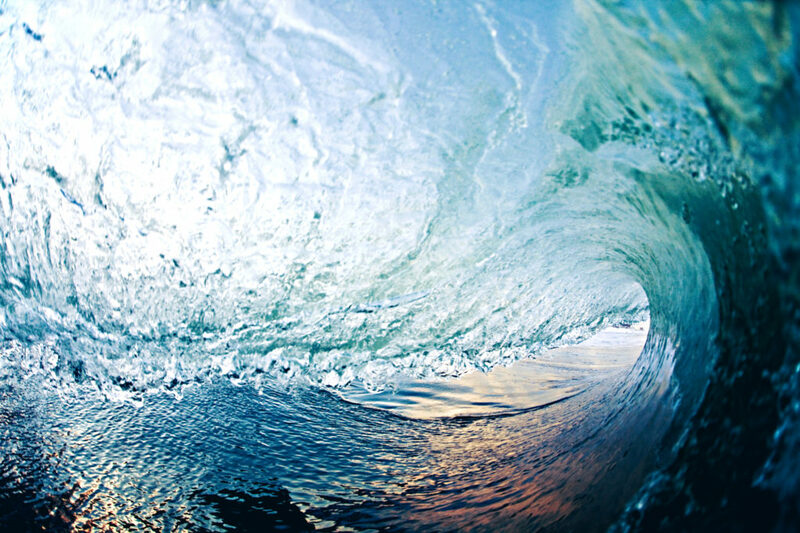 I first started shooting waves in New Jersey and New York, two places that can be very fickle. Some winters are good, other winters you are waiting weeks between swells. I continue to shoot surfing on the East Coast and have found that when the forecast isn’t looking so good, there’s a beautiful and inspiring destination just a plane ride away. 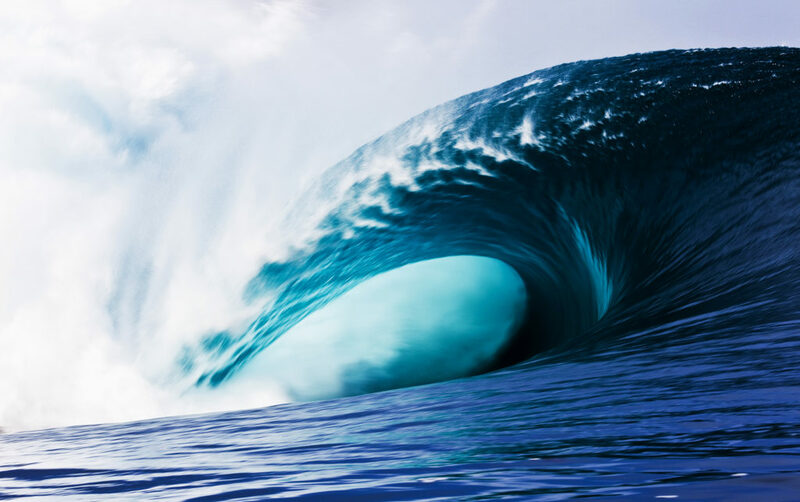 Much of my travel has been fueled by the next great swell to pop up in Central and South Americas, where I’ve traveled to extensively. To get that one perfect surf photo you may have to shoot for five days in a row to finally connect with the right wave, the right surfer, and the right lighting. There’s a bit of a luck factor mixed into it all as well. 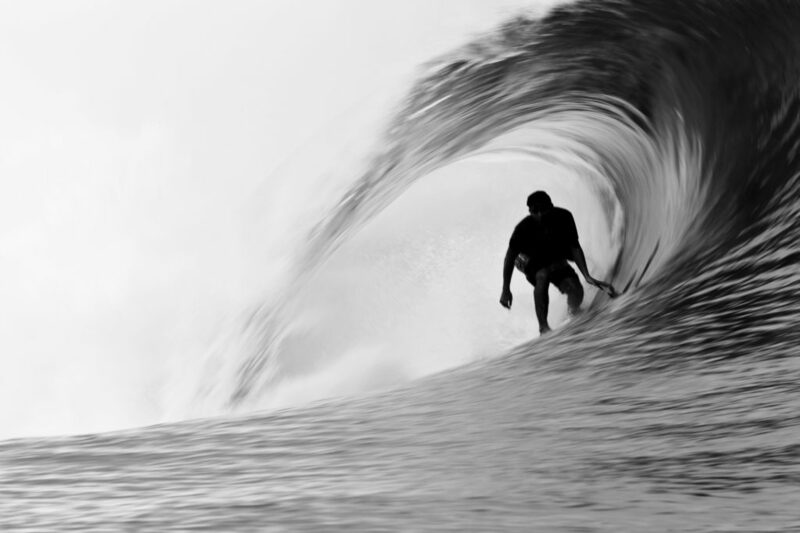 To really form a body of work in surf photography it takes dedication and patience. And I’m in it for the long haul. Can you tell me about the technical side of your work? Your photos seem super calculated, which I imagine is hard to accomplish in the water. 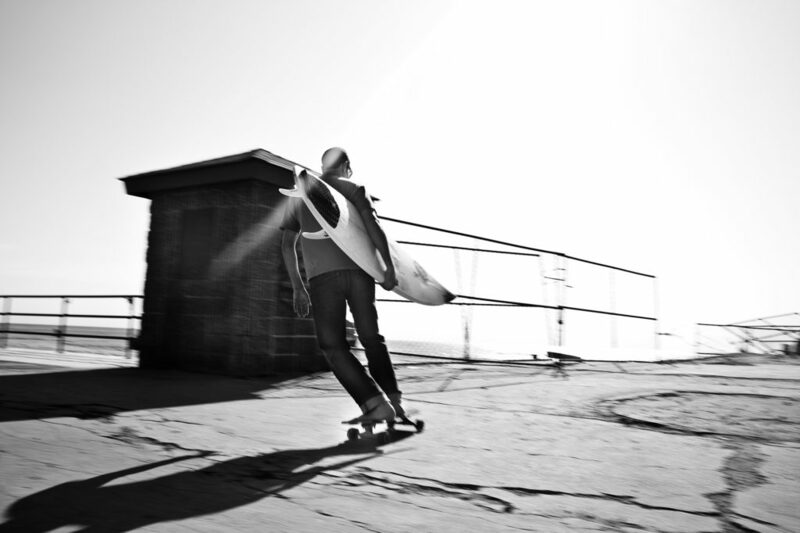 Shooting personal work in surf photography is so different compared to commercial photography. You’re at the beach, the waves are good, everyone calls outta work, and for a day, nothing matters. In the same sense, my equipment is pretty low key. No rigging, crew, lighting, or computers. It’s just me, the ocean, and a camera. To shoot stills or film video from the water I have a Canon 5D packed in a waterproof housing and a pair of swim fins. A lot of people ask if I’m on a surfboard. Nope, I’m just free swimming in the waves. Depending where I am in the world will dictate if I’m wearing a wetsuit. 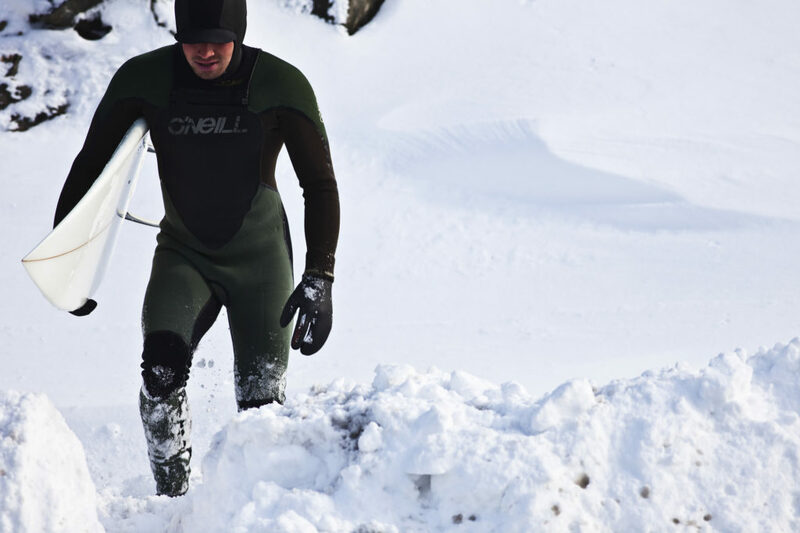 Tropical destinations are warm enough where just a pair of trunks is sufficient, but during the winter in New York, I’m wearing a 5mm wetsuit and boots, thick gloves, and a hood. Looking back on my work, I see that I didn’t set out to create a look or style. I just did what I liked, and shot the angles and lighting I thought looked sweet. Really, what happened is that the surf photography field is so saturated that I found that I didn’t have any room to be the creative person I am inside. What I choose to shoot is pretty different than what’s typically seen in the surf world, but I just ran with what I loved to do. I broke free of shooting what I thought everyone wanted to see and shot the things that I wanted to see. I found influence outside of the surf bubble and found a way into photography as a means of living. My career has traveled from surf photography to weddings, to sporting events, to assisting, and I’ve landed in the filmmaking and advertising world. You paint a really nostalgic picture—it reminds me of those good old the days when I’d go out and skate with my friends all day. I remember there being nothing else on our minds other than conquering that stair set or dropping in on that ramp. Do you connect with surf photography in a similar way? Surf photography started as a curiosity to me. I first paddled out on a board in college with friends who ripped and I often found myself watching in awe, especially in the early mornings and late evenings. I was pretty driven to surf for awhile until I got a camera in the water. 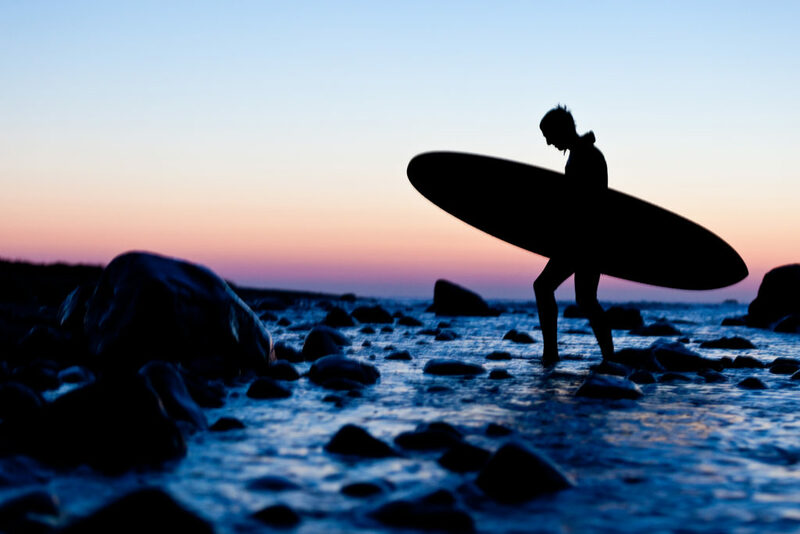 Since then, surf photography has developed into a meditation. There’s something about the push and pull of the waves, being at the ocean’s mercy and immersed in the salt water, that puts me at ease. Most of what I shoot I consider personal work, though I am commissioned to shoot similar surf lifestyle by brands and editorial outlets, (for example, the picture of Volcom team rider Pat Schmidt in the barrel in Panama was the cover of Eastern Surf Magazine‘s travel issue) and am hired to film underwater as part of larger video productions. The skills I learned in the water are transferable to the business aspect of my work. It’s such a nice bonus for me, to be able to do what I love and pay my bills by having fun and creating. See more of Struck’s work below and in his Dripbook portfolio.